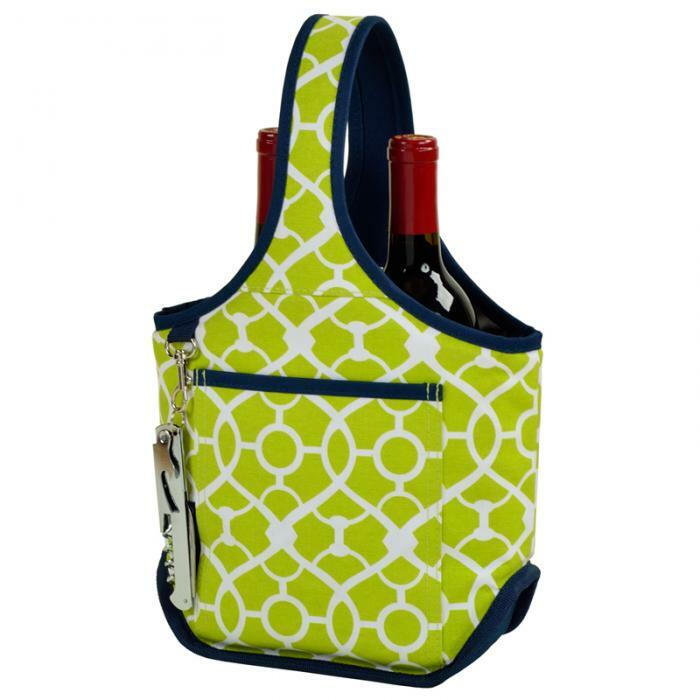 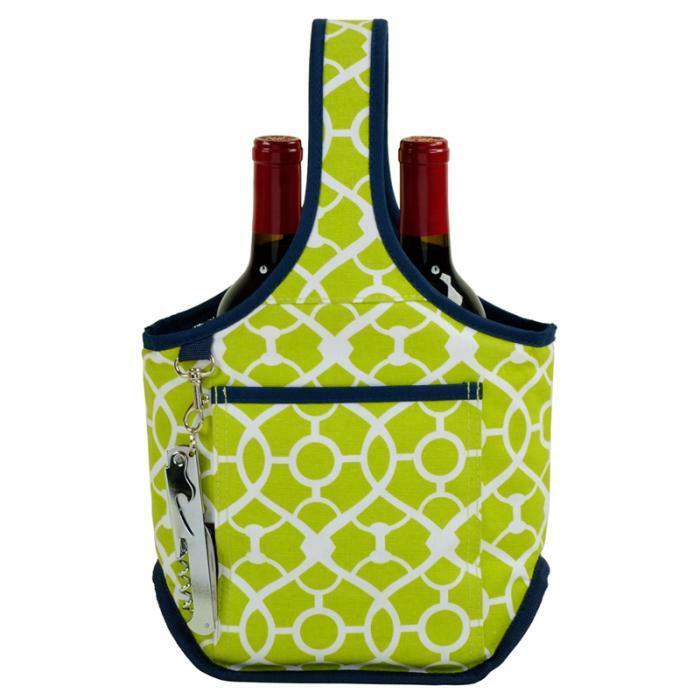 This Two bottle wine tote features an easygoing & modern shape with room for two wine bottles or beverages. 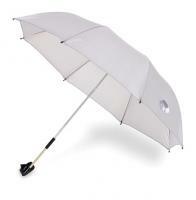 Carrier includes a clip on corkscrew, moveable divider to fit larger bottles, and front pocket. 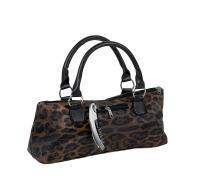 Part of our Bold Collection. 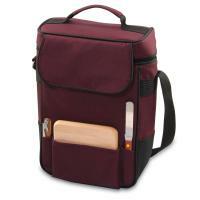 Designed in the USA with a lifetime warranty.